Five minutes – that’s how long I got on the phone with footballer-turned-film star VINNIE JONES the other week to talk about his new Staying Alive Heart Start Campaign for the British Heart Foundation. Not long – but long enough though to catch his drift about the importance of learning cardiopulmonary resuscitation (CPR) techniques. A paramedic once told me that for every minute that passes after someone’s heart has stopped their chances of survival drop 10 per cent and yet many of us are too terrified of attempting CPR because we’re worried we won’t do it right and will inflict more harm than good, (incidentally I’ve always been shocked to learn that schools aren’t legally obliged to have defibrillators on the premises – although football stadiums and shopping centres are – but that’s a subject for another blog). What difference does CPR make? The latest ambulance trust figures, published this month, reveal that in June 18.5 per cent of witnessed cardiac arrest casualties attended by paramedics survived to leave hospital – that’s just 58 out of 314 casualties. In May 2011, survival rates peaked at 28 per cent but have since deteriorated and not risen above 20 per cent this year. But teaching CPR to more people can make a big difference. In Seattle, for instance, where over half of the population are now trained in CPR, survival rates stand at 52 per cent. In some parts of Norway, such as Stavanger where CPR is part of the school curriculum, survival from witnessed shockable cardiac arrest is also as high as 52 per cent. The BHF Campaign is all about persuading people CPR is dead simple and worth having a go at and you don’t need to do the kiss of life but just concentrate on chest compressions. It really can save a life. Last year Vinnie, 47, starred in a video showing how CPR can be performed to the beat of the Bee Gees disco classic Staying Alive – and it received 2.4million views on YouTube. Take a look below. Alan Linton was saved by his mates when he collapsed on the golf course – they’d seen CPR on Vinnie’s Staying Alive video and remembered to pump the chest to the beat of Staying Alive. This year’s video features some ‘mini-Vinnies’ – showing how CPR really is so simple kids can do it too – got to be worth a shot anyway. Vinnie’s wife Tania had a heart transplant 25 years ago so the BHF is a charity close to his heart. He looks after his own heart by having yearly checks (no problems with blood pressure or cholesterol so far he says), ditching “Geezer” fried food and taking exercise. He says: ‘I’ve always been fit because I was a sportsman and did lots of training – but now I work on action films – I’ve just been filming Tomb with Sylvester Stallone and Arnold Schwarzenegger, which is due to be released in September 2013 and do my own stunts so it’s very important for me to stay in good condition. If you want to find out more about CPR – sign up for a British Heart Foundation Heart Start course http://www.bhf.org.uk/heart-health/how-we-help/training/heartstart-uk.aspx. 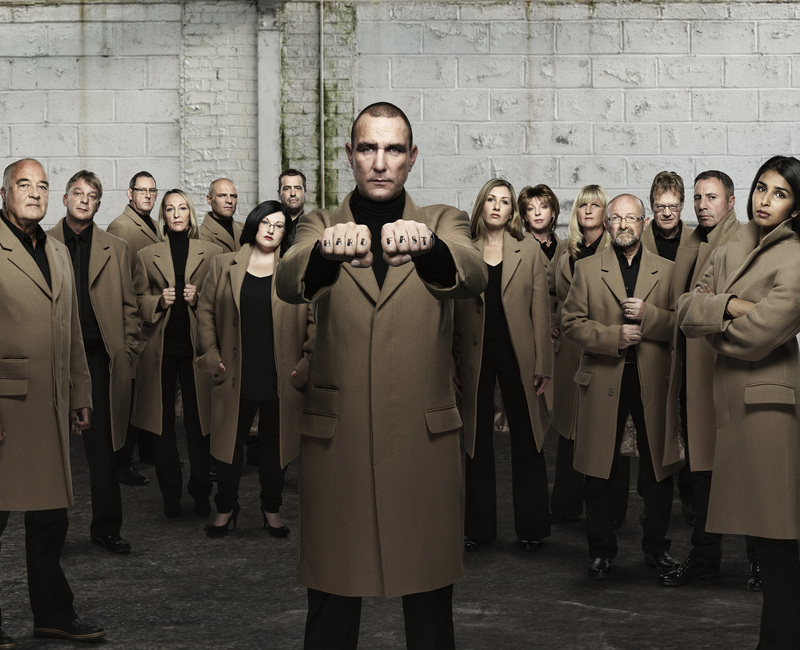 Tags: British Heart Foundation, cardiopulmonary resuscitation, CPR, Staying Alive Heart Start Campaign, Vinnie Jones. Bookmark the permalink. Previous post ← How old are YOUR bones?